13 of 16 games were decided by 1 goal. It would be fitting that all 3 of my losses of the day were by that amount. I played a decent game for my Vintage Painting team. Skating out has always been a challenge for me, but I feel I made good strides this season. My last 3 games I really didn’t do all that well. Especially after assisting on a lot of goals through the season, I expected to do better things in the playoffs. It just never worked out after we lost by a 2-1 score. I was honored to actually pick up a team through a playoff run. 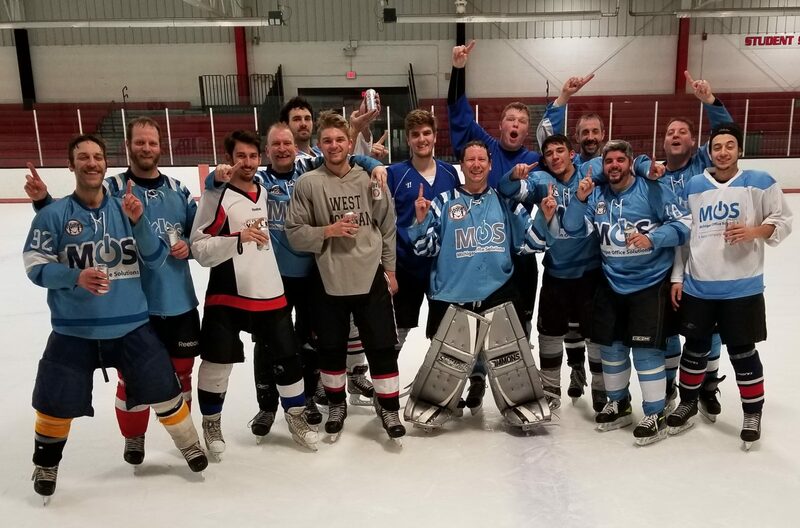 Who Cares was stuck without a goalie, and I helped them get to the finals. I just wish I could have gotten them one last step in that playoff run. It just didn’t happen as we lost 3-2. Bulldogs played a good game in the first game and won 4-3 in OT, but lost in the finals 2-1. I wouldn’t have to say I am upset. More just disappointed. You want a lot of good things to happen to you in the playoffs. If your team comes ready to play, that makes the job simpler. The fact of the matter is the other teams who beat us just wanted it more. They played more sound defense. Their goaltending wasn’t necessarially better than I played. That is just the way it goes in a one game playoff. After 5 games, I am exhausted. I really need the sleep, but I am still a little down on myself. As I know from reading past journal entries, it happens and I tend to get back to my old self again the next day. I feel that I have learned that winning trophies from playoff series, while important to me, it isn’t the end of the world. I have 8 championships to my name, and I remember them all. Twenty years from now, I will probably remember them again, but I will more than likely remember how much fun I had playing. I will remember all the players I played for and against. I will remember the good times, because that is all you have left when it is all said and done. If you aren’t having fun, then you shouldn’t be playing. I will get another opportunity down the road. It always comes down to that.